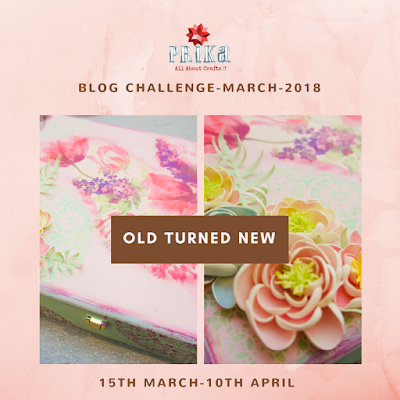 Prika: Impressions Forever by Shalini Jain! Memories last forever… Impressions will never change!! So read the tutorials carefully for this magnificent home/wall decor piece. It’s really a cute yet memorable thing to preserve your babies hand & foot impressions!! Step 1: I have used 2 old cake base cardboards to make this beautiful creation.. I have made thick paste of dentaplast , fevicol & water and applied it on the cake cardboards and given the texture by using fingures & waited till it gets dry.. 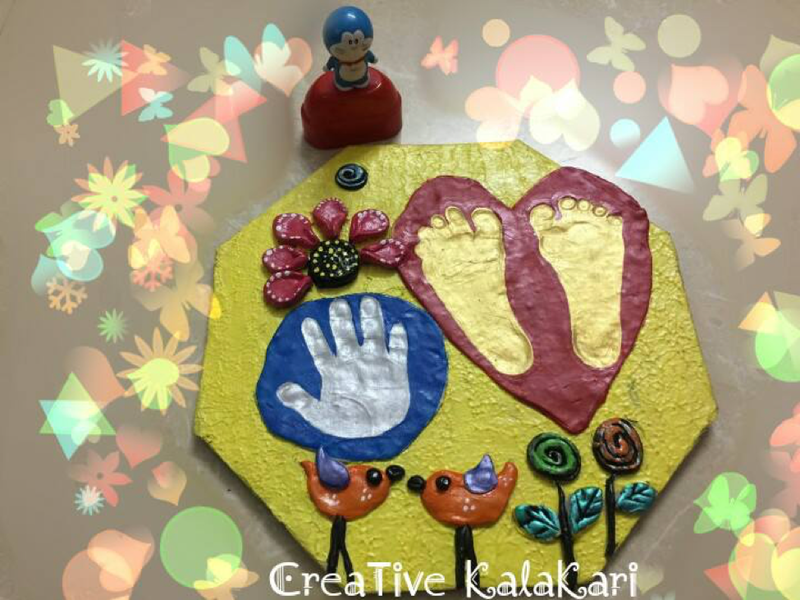 Step 2: Applied yellow acrylic colour on the base, after made the round shape and the heart shape by using shilpkar clay and took the hand, foot impressions of baby by pressing their hands & legs gently directly on the clay. Pasted it on base by using fevicol. Step 4: Applied last coat of varnish..
Make it and flaunt it! !